This ZBR explains why you, as the economy, ZBR20 – Why the Economy will vote for Chamisa Page 2 of 3 to Eliminate Cash Shortages and Bank Queues 11th July 2018 will vote for Chamisa by illustrating an example of how miners and farmers will work with Chamisa to resolve the cash crisis. The largest number of you, as producers, that will vote for Chamisa are the farmers who make up 70% of Zimbabwe’s population in the rural areas. You, as farmers will vote for Chamisa because he will ensure that the land reform programme is not reversed and thus give you confidence to continue farming. You, as miners will also vote for Chamisa because Chamisa will protect small scale miners from being exploited by Mnangagwa’s gangs of marauding Al-Shabab robbers and murderers. As gold miners in places like Kwekwe, Shurugwi, Chimanimani, Shamva, ZBR20 – Why the Economy will vote for Chamisa Page 3 of 3 to Eliminate Cash Shortages and Bank Queues 11th July 2018 Chegutu, and Silobela, you will vote for Chamisa because he will ensure that you get the best prices for your gold without enriching Mnangagwa’s gold smuggling cartels at your expense. Miners, you will vote for Chamisa because he will issue mining permits to you. 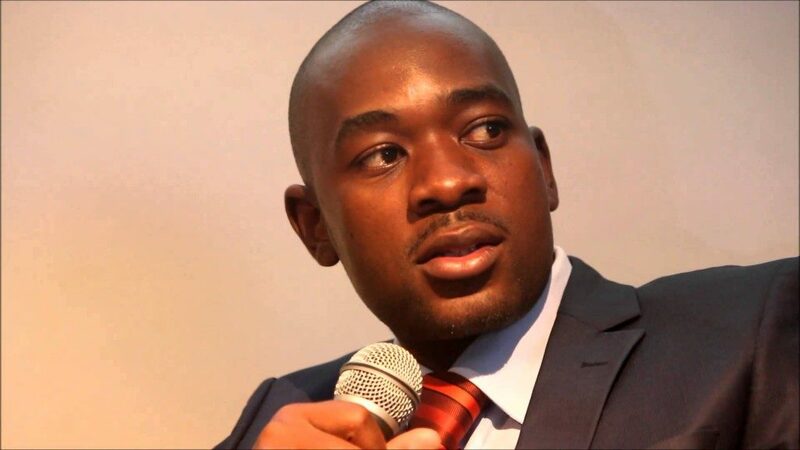 The economy will vote for Chamisa because Chamisa will strengthen the agricultural base of the economy by issuing title deeds to farmers to enhance production. The economy will vote for Chamisa because foreign currency will increase since Chamisa will protect miners from Mnangagwa’s robbers to ensure that the proceeds of our vast mineral wealth benefit the nation.